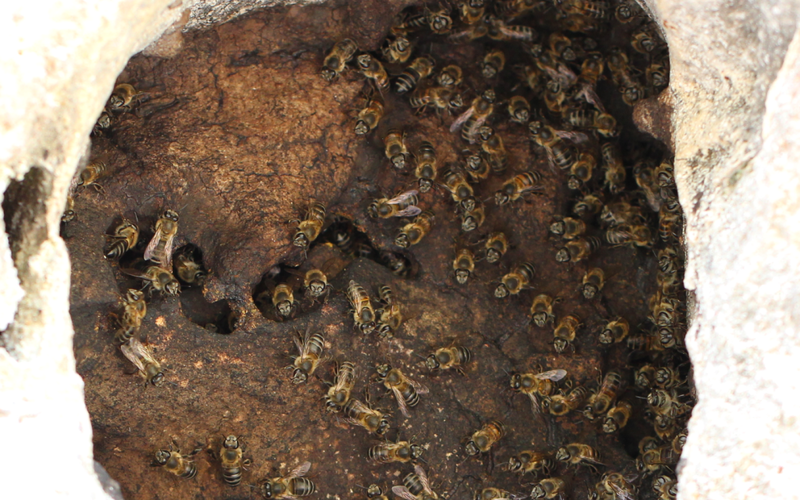 Ujubee is committed to raising awareness of the importance of safeguarding indigenous bees living in the wild and to saving them for future generations. 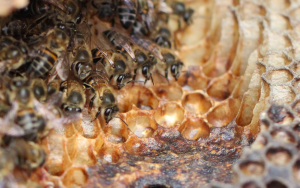 Ujubee will create a unique network of bee conservation projects that brings collective credibility and integrity to the conservation of bees. 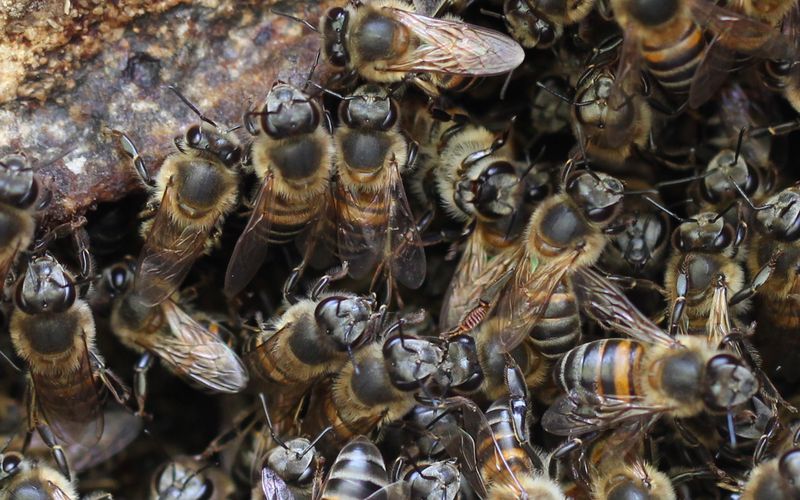 Ujubee will raise the profile of bees, demonstrating the capacity of working collaboratively globally to act together as one to ensure bee conservation. Ujubee will use the network to facilitate knowledge exchange, share best practice and create new, collaborative initiatives for bee conservation. 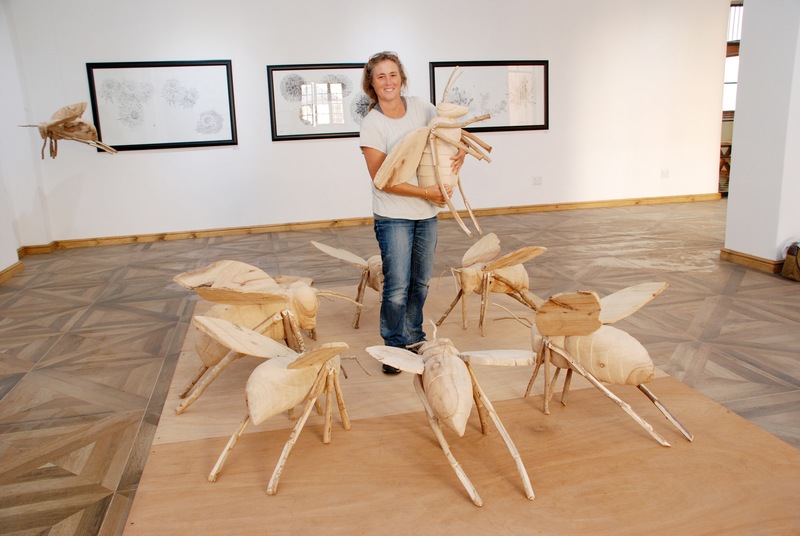 Ujubee will create a physical and lasting legacy of bee conservation leadership. The 2nd in this Simon’s Town Museum Talk Series. In this presentation we will look at some of the research we have been doing in Noordhoek over a four year period. 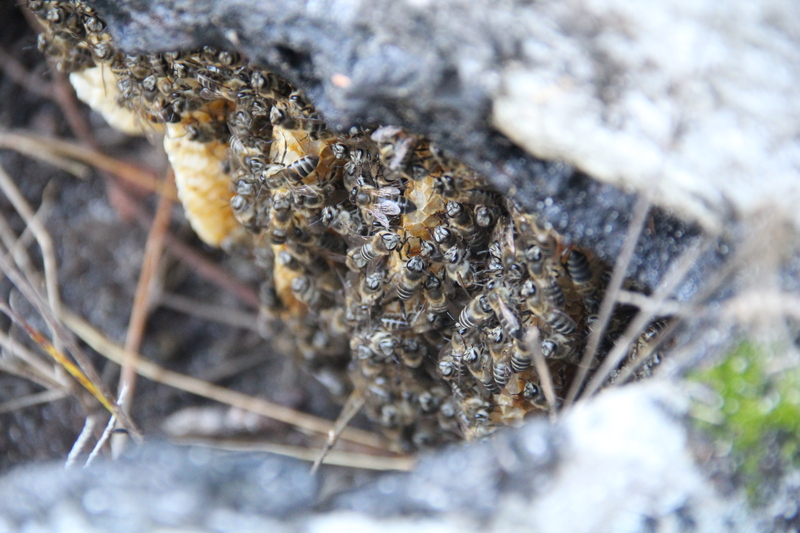 We will focus on one very special nest and discuss the fascinating daily goings on within this wild colony: the villains, who they are and how the bees cope with them; how the wild bees deal with multiple challenges; why this nest is so special and what we can learn from it. Once again we have wonderful footage to share with you. This event is a fundraiser to help raise funds to get Ujubee to The Netherlands where they have been invited to participate and present at the first Wild Bee Conference in Amsterdam, hosted by the Natural Beekeeping Trust UK, BEETIME and Smart Beeing from 31 August – 02 September 2018. 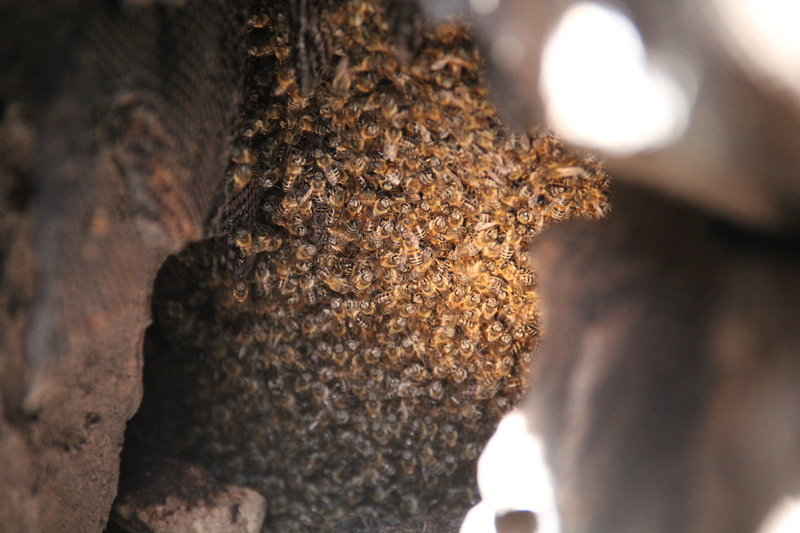 ARE OUR BEES GOING UP IN SMOKE? 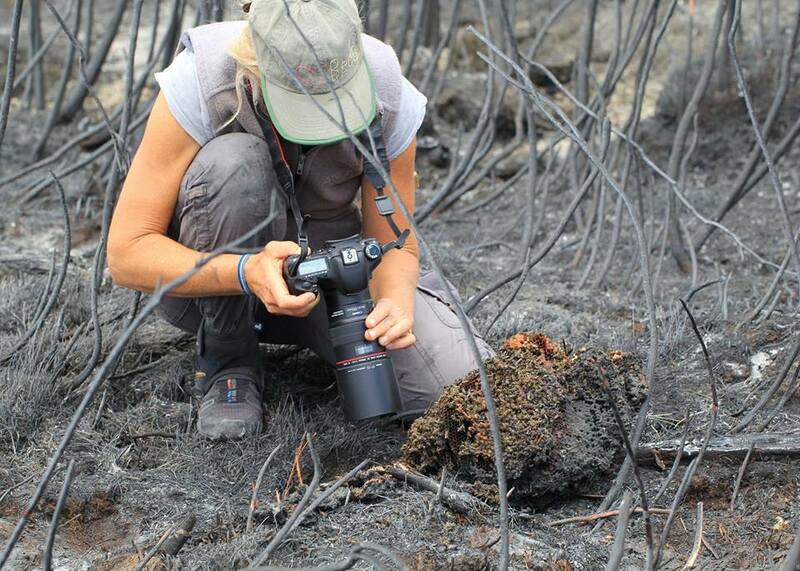 Fire is an integral part of fynbos ecology. The Cape honeybee is an integral part of fynbos ecology and biodiversity. 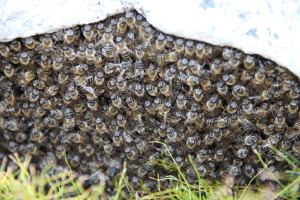 Bees being social insects, find a nesting site, build comb, fly out in search of forage and grow their colony. But what happens in the face of fire? 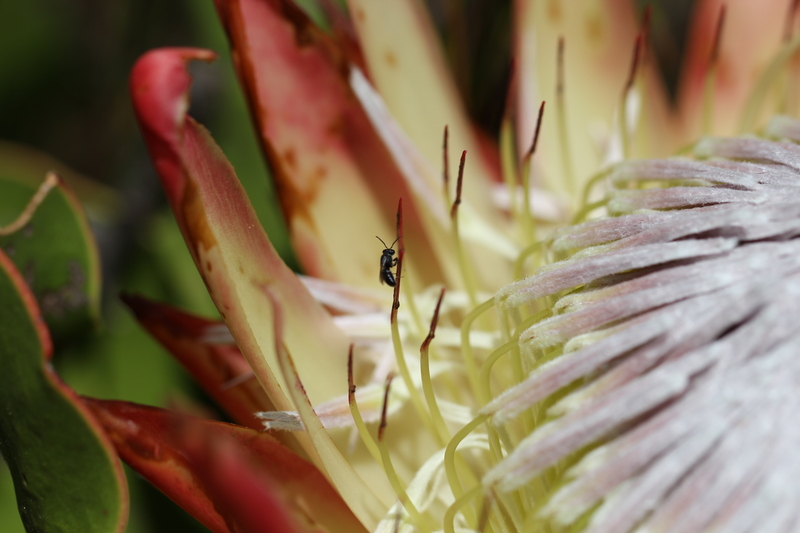 Does our Cape honeybee have the intelligence to survive these fast, hot fynbos burns? 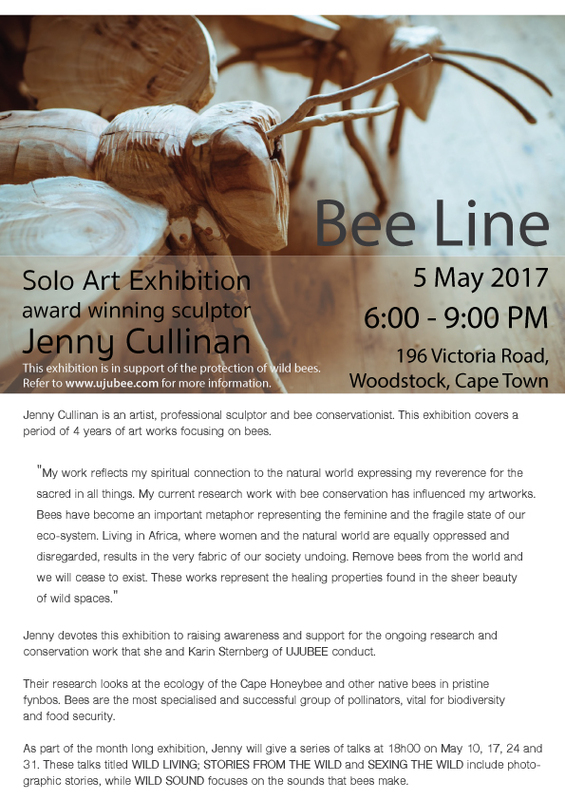 Join us for a presentation on wild bee research done by Ujubee who are based in Simon’s Town in the heart of pristine, fynbos ecology. 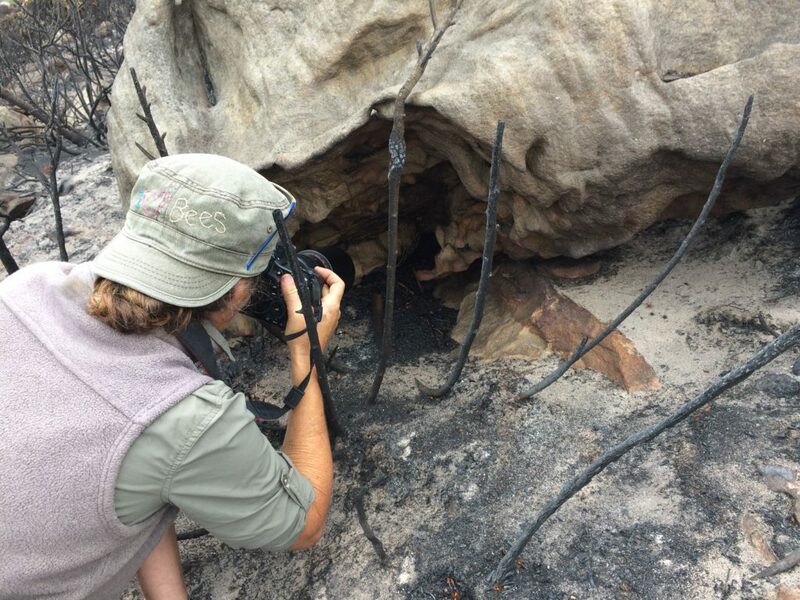 Venture with them into their groundbreaking observations at Cape Point Nature Reserve, looking at the recent fires and the impact these have on the Cape honeybee. 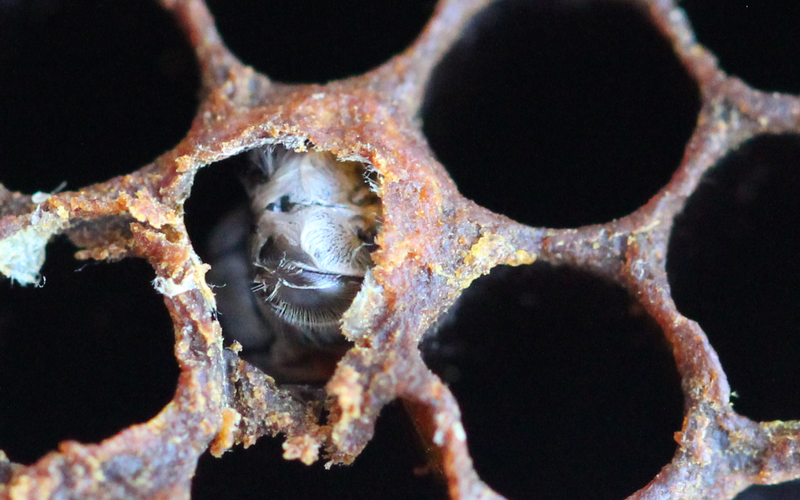 This event is a fundraiser to help raise funds to get Ujubee to The Netherlands where they have been invited to participate and present, at the first Wild Bee Conference in Amsterdam, hosted by the Natural Beekeeping Trust UK, from 31August – 02September 2018. 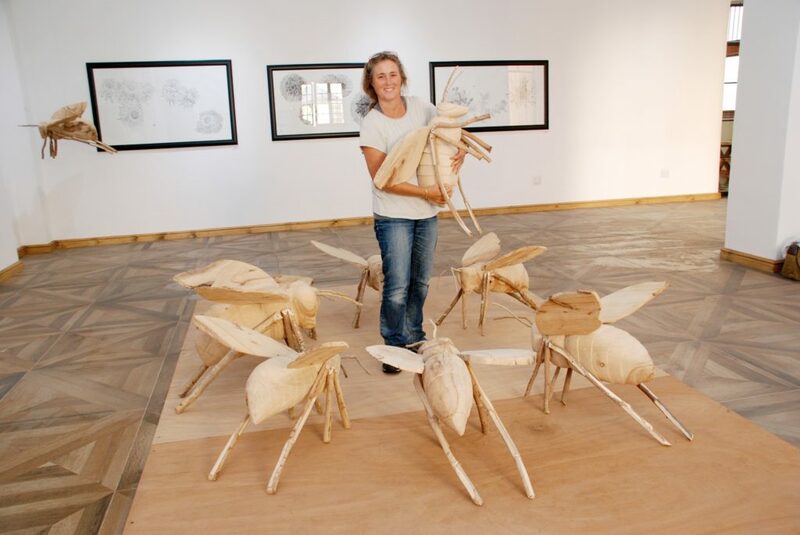 BEE LINE Exhibition is now open! On Wednesday evening, 31 May at 6pm, Jenny Cullinan of Ujubee will present the final of 4 short slide presentations, titled WILD SOUNDS. The venue is 196 Victoria, Woodstock, Cape Town. The discussion should last about an hour and looks at a variety of sounds from wild nests. 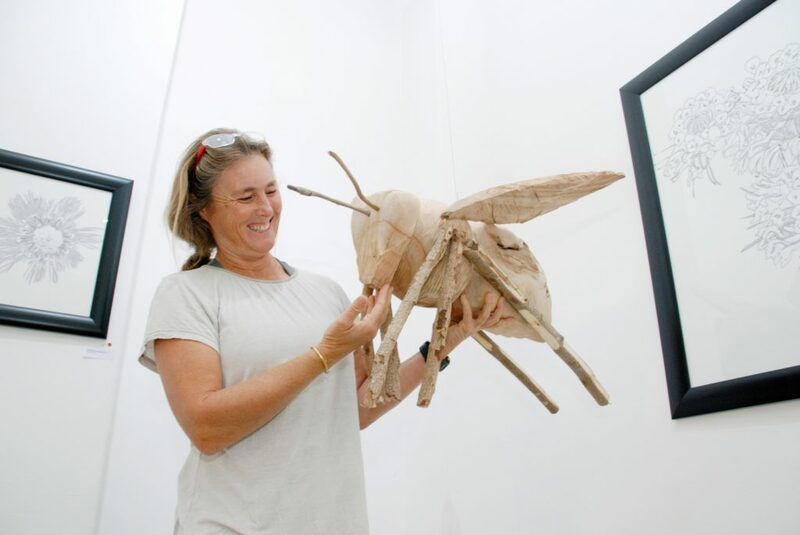 For those wishing to see the BEE LINE exhibition, 196 Victoria will be open Monday – Friday from 9AM-4PM. The exhibition closes on 31 May 2017. There are 6 floral kingdoms on earth. The Cape fynbos is the smallest, but the richest floral kingdom in the world. This floral kingdom is kept alive by its pollinators. 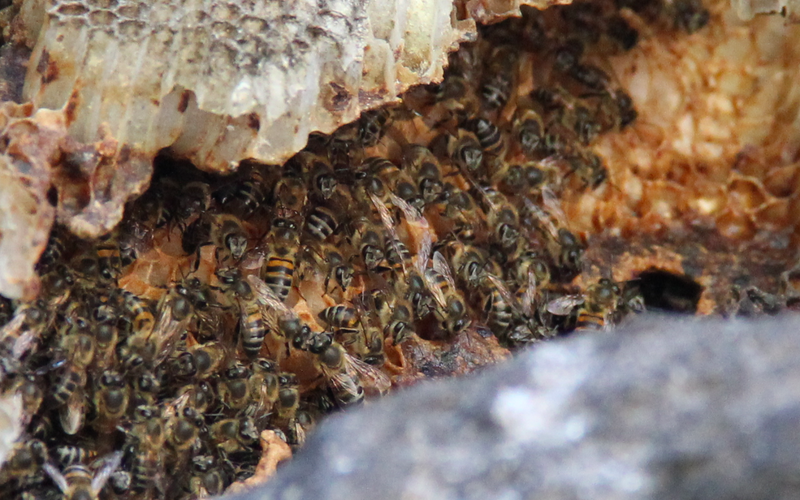 Apis mellifera capensis (Cape honeybee) pollinates more than 85% of the fynbos flowers. Without these bees we would lose this floral kingdom. 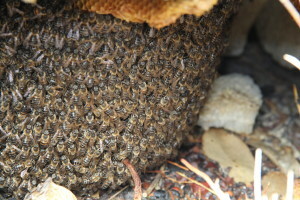 Bees keep it together. They ensure the bio-diversity of the world around us. We have to understand how these bees have adapted to this amazing floral kingdom and what we can do to keep them safe. 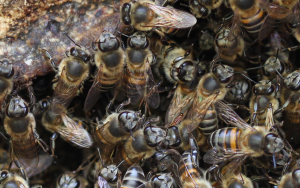 Bees worldwide are dying at the moment and if A. m. capensis were to die we would lose this race of bee that has evolved over time to survive in this harsh bee environment. Researching them is of great value to ensuring the longevity of our natural world. We spend many hours with wild bees watching everything they do. We hope to really learn their way of life by observing them as closely as possible in their natural world. Only when one knows what is normal, can one see the extraordinary. Our main aim is to see first hand how important these bees are to the Table Mountain National Park Cape of Good Hope Section, look for patterns and hopefully they will reveal some interesting secrets to us. Our research project has been mostly self-funded for the past four years and as we move into our fifth year of research we would love support from all who are equally fascinated by bees and feel that wild bees have the right to live in wild spaces, in their natural habitats and without the interference from people wanting to “commodotise” them for some personal or commercial gain. We hope to establish further sanctuaries protecting wild bees (honeybees, solitary and sub-social bees) in their unique biomes throughout South Africa and thus safe-guarding their diversity and gene-pool for the future. 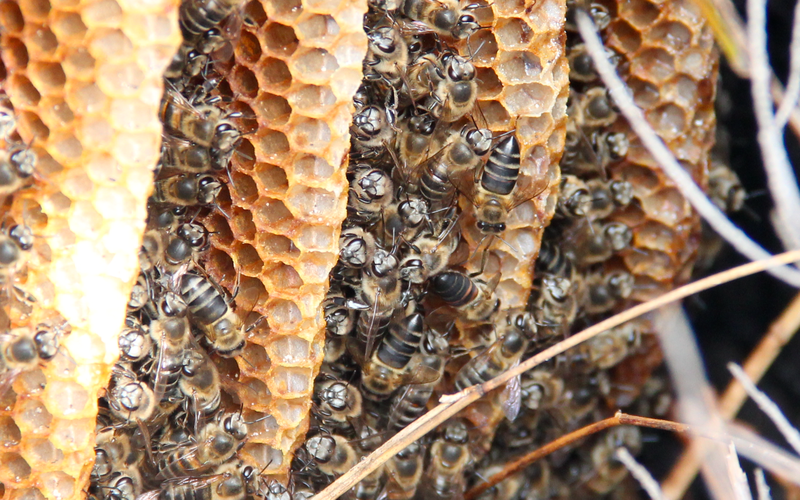 We are bee conservationists and we are passionate about our work. In addition to our blog, we have an ujubee facebook page, which is a diary of our work over the past years and beyond. If we can learn from bees in the wild and what they need to be healthy, we can better understand what bees need to flourish when we keep bees. 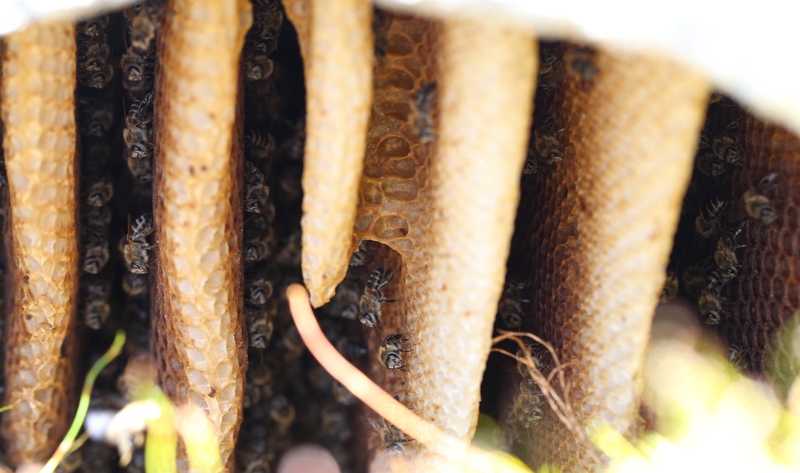 Fundamental to this is the protection of wild bees in their unique biomes, safeguarding their diversity and gene pool for the future. Support our work by making a donation. 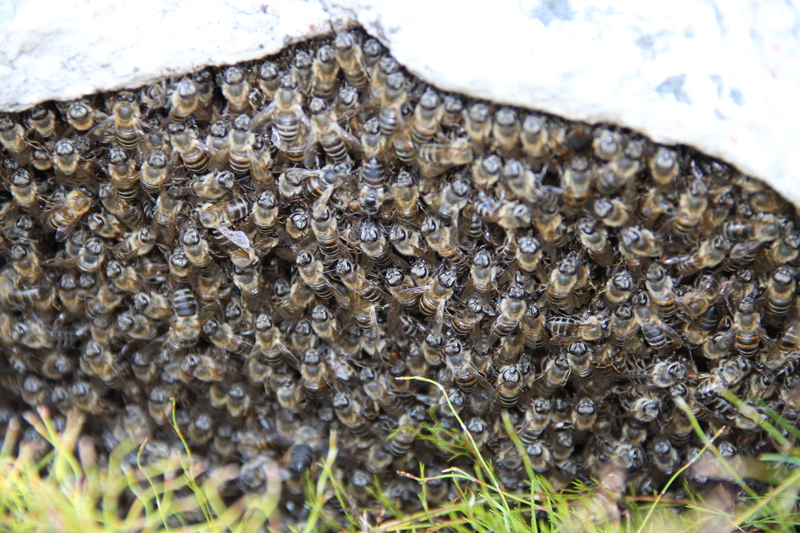 Do drones accompany absconding and migrating swarms? When smoke gets in your eyes! olivia on Do drones accompany absconding and migrating swarms?